Apply: Gas zone 1, 2; dust zone 20, 21,22. ZAT680 2MP 20X Anti-explosion explosion proofdome camera with infrared light is ZUOAN 2014 year new developed products, which is also the China first explosion proof type ptz dome camera with IR lights. 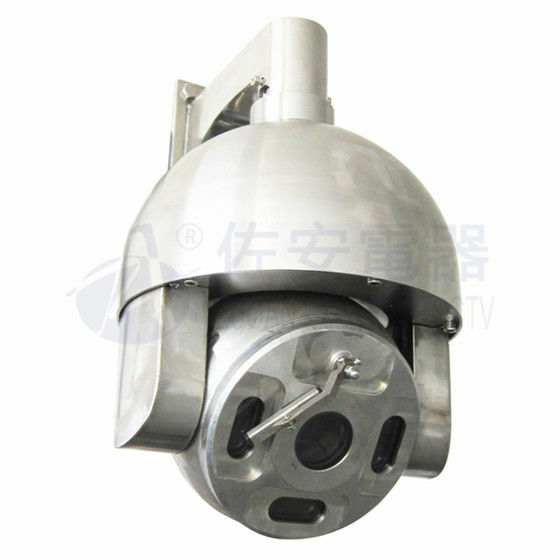 ZAT680 is an integrated products, with pan and tilt, zoom camera, infrared lights, wiper system. Dome Housing inner and outside is full of metal struction, which is greatly avioid the water condensation problem. 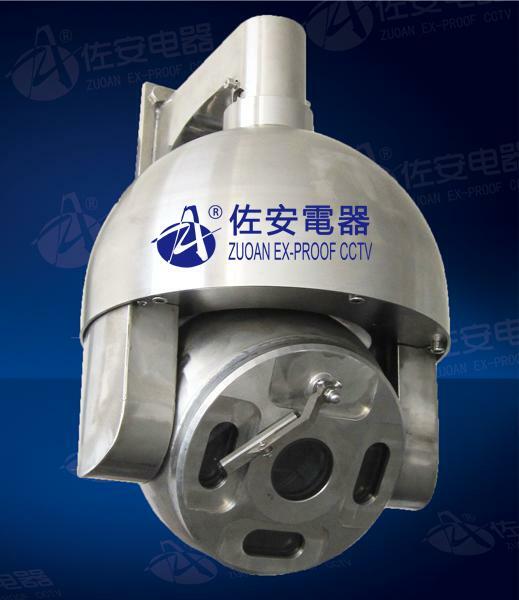 ZAT680 explosion proof dome camera has the features of high speed location and preset accuracy. the explosion proof housing is a ready-to-use kit, for all brand cctv camera, like samsung CCTV camera, sony cctv camera, hikvision cctv camera, dahua cctv camera. its infrared light adopts Made in Germany, OSRAM, which has longer life time, night vision distance 80-100m. 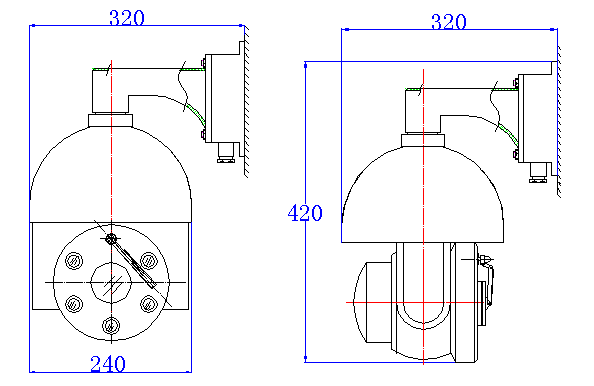 With stringent certifications, explosion proof dome camera enable safe, effective surveillance for chemical sites, oil and gas facilities, food processing plants and numerous other hazardous environments. such as Chemical factory, petrochemical processing plant, pharmaceutical plant, Oil refinery plant, Gas station,Oil tank truck, Natural gas project, Marine, offshore/ onshore oil drilling platform, coal mine, Grain storage, winery storage, fertilizer storage ect.